Our bitter leaf soup comes with mixed meats, turkey, fish, prawns and crayfish. Our meals are delivered in BPA-free food pouches ready to go directly in the fridge or freezer, or simply heat and eat! 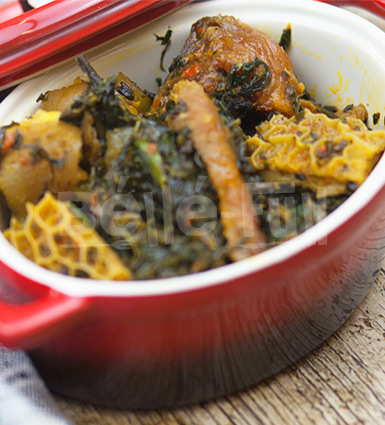 This soup is made using ugwu (pumpkin leaves) and waterleaf. 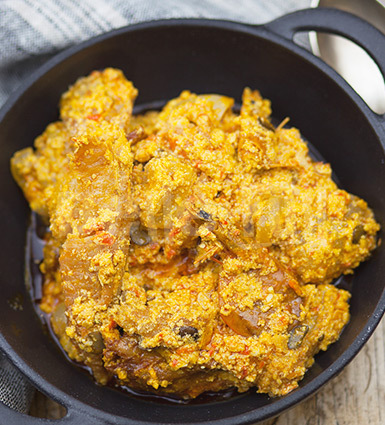 It is cooked with peppers as well as mixed meats, stockfish, dried fish, crayfish and prawns. Our meals are delivered in BPA-free food pouches ready to go directly in the fridge or freezer, or simply heat and eat! Efo riro (pronounced 'eh-four-ree-row') is a Nigerian word for stir fried vegetables. 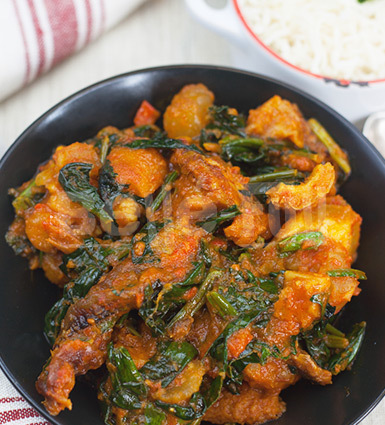 Our efo riro is spinach stir fried in peppers, spices and palm oil. It also comes with a medley of beef, smoked turkey, stockfish, dried fish, cow foot and tripe. 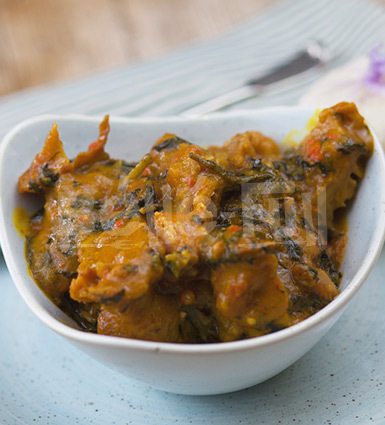 Efo riro can be enjoyed with any rice dish, yam porridge or pounded yam. Our meals are delivered in BPA-free food pouches ready to go directly in the fridge or freezer, or simply heat and eat! 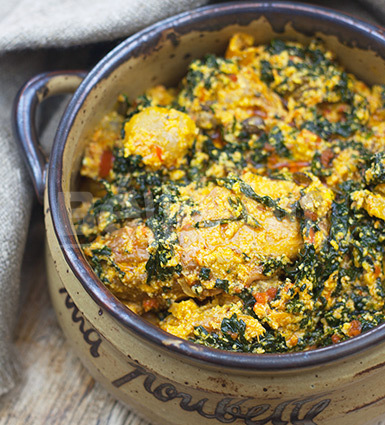 Egusi is made from crushed melon seeds, cooked in peppers. This comes with mixed meats, fish, smoked turkey and crayfish. Best enjoyed with pounded yam or other “swallow” dishes. This dish is delivered in BPA-free food pouches ready to go directly in the fridge or freezer, or simply heat and eat! 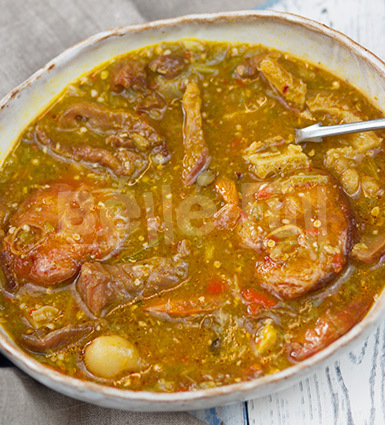 Our okro soup is made with okro, peppers, mixed meats, fish and smoked turkey. Enjoy with any of your favourite “swallow” dishes. Our meals are delivered in BPA-free food pouches ready to go directly in the fridge or freezer, or simply heat and eat!